Palletlabel’s mission is to add value to the supply chains of each and every of our customers that want, or have to comply with GS1 standards to label goods that they manufacture, transport, or trade and to create and send matching EDI messages. As a GS1 Solution Provider we do not only support the implementation and integration of GS1 but especially aim to make the creation of SSCC-coded labels and their matching EDI. message as easy as possible. Palletlabel is a product of Type 2 Solutions. Type 2 Solutions is a GS1 Solution Provider. Palletlabel is certified by GS1 Netherlands, GS1 UK, GS1 US and approved by GS1 Belgium & Luxembourg. Create, manage and centralize labels, comply with GS1 standards, food, healthcare or GHS hazmat regulations and give your supply chain a boost with the Type 2 Solutions label management solutions. Discover our suite of label management products. The supply chain can be optimized by implementing standards, using machine-readable labels, and making use of EDI . The label is the carrier of the identification within the supply chain, and therefore a crucial link in the chain. The complexity of the labeling process depends on legal provisions, customer requirements and factors internal to the organization. With an increasing number of products, facilities, and customers comes an increasing need of flexibility and manageability of the labeling process. To foster growth in the retail sector, Pelican Rouge has to be able to cater to individual requirements from the different retailers it serves. The electronic messages and logistics labels that we produce not only have to comply with GS1 specifications, but also with specific requirements stated by each retailer. 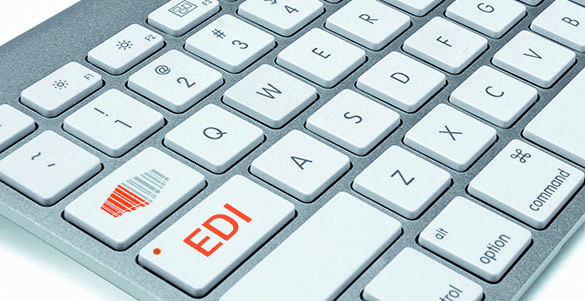 By integrating Palletlabel + EDI into our IT landscape, Type 2 Solutions enables us to do just that, flexibly and in no time. You can reach us via phone, e-mail, Twitter and Facebook.